Aesthetic Fabrics provided by our company are fabricated using the best quality threads and yarn. These Fabrics are designed and fabricated as per the tastes and requirements of our clients across the globe. The mesmerizing Fabrics are available in creative designs, vibrant colors, different textures and patterns. We ensure that our Fabrics are suitable for manufacturing garments and home furnishings. Abiding by the ethical norms of the industry, we are engaged in manufacturing, supplying and exporting Polyester Cotton Fabrics. These are fabricated by using latest machines and high quality silk procured from the authorized vendors of the market. In addition to this, while fabricating these products, the established norms and standards are followed by our experts. Also, our professionals stringently check these fabrics on various parameters, before the final dispatch. 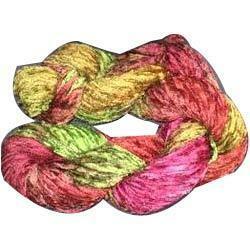 Owing to our vast manufacturing facilities, we are able to offer Knitted Fabrics. Our designers fabricate this range as per the specifications requirements of our clients, using beat grade fabrics. Under this range we are offering single jersey, double jersey, interlock, yarn dyed, airtex, pique, rib, drop needle, auto stripes, jacquard and lycra to our esteemed clients. Widely acknowledged for their comfortable, skin friendly, and warm. Clients can avail from our company beautifully designed Polyester Fabrics in the form of hang tags. 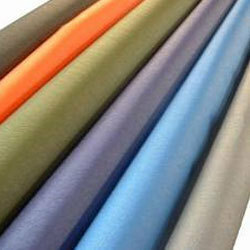 The polyester used is 100% pure and is sourced from trusted vendors of the industry. We fabricate Polyester Fabrics in variety of colors, designs, patterns and prints as per the demands of the current fashion trends. 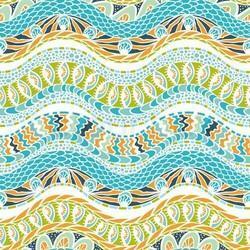 Customized fabrics can be availed from us at cost effective prices. We are among the prominent organizations engaged in manufacturing, supplying and exporting Polyester Fabrics. The polyester fabric offered by us is fabricated by using modern machines and optimum quality fabrics obtained from the authorized vendors of the market. While fabricating these products, our professionals strictly Follow the established norms of the industry. 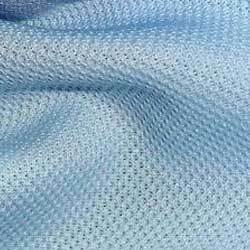 All these polyester fabrics are available in various colors, designs, patterns, prints and also in tailor-made range as per the demand of the patrons. With thorough knowledge of the industry, we are engaged in manufacturing, supplying and exporting Rayon Fabrics. All these rayons are also used for fabrication of apparels, home furnishings and also as an industrial fabric. These are also available in various specifications and also in tailor-made range as per the requirements of the clients. 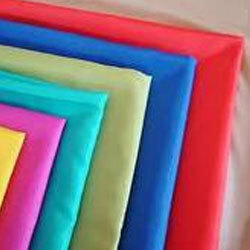 With our expertise in this domain, we are engaged in manufacturing, supplying and exporting Bandana Fabric. These are basically a sash for the hair that is crinkled in texture and has loose interweaves. All these are fabricated by using modern machines and high quality fabric sourced from the trusted vendors of the market. In addition to this, our professionals check these fabrics on several parameters, before the final dispatch. 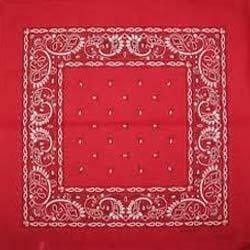 Customers can avail gypsy and gothic styled bandanas in various colors, designs and prints.